For many shippers the end of year rush is so filled with activity that it can be hard to find any time at all to do much planning. If that sounds like you, then don’t worry - you are not alone and you we’d suggest you consider doing a quick “five point shipping check-in” to gather some data on last years activities (with a little help from Pacejet) and tee up some actions for the new year. Having some quick numbers on hand will help you field questions from managers and staff and feel a bit readier for planning work when you find the time. A quick and easy way to get some basic shipping metrics is to use the Shipping Dashboard in Pacejet. Click the Pacejet icon to reach it, select the “Year” link, and just save a snapshot of what you see. The basic summaries here will give you the overall number of shipments for the year, your distribution by carrier, breakdown between Parcel and LTL, international and domestic, and some basic freight spending numbers. At some point in planning you’ll want to review your shipping expense details, including cost and price to determine where you may be losing margins based on choices in shipping. As part of a quick check-in, you can run some reports from either your ERP system using data that Pacejet updates with each shipment or Pacejet can assist with some reporting features. 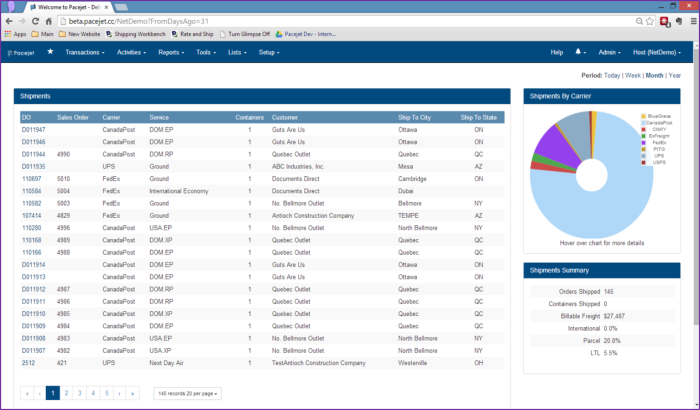 If your ERP is NetSuite, then the data provided by Pacejet can be organized into a report as shown below but this is similar with most ERP system reporting functions. If interested, take a closer look at the earlier Pacejet blog posting and video on the topic of measuring margin and using ERP reporting features with shipping data. Customer Requests = Are we getting pressure to add carriers for certain customers? Cost Savers = Are there new parcel or LTL carriers we should consider to reduce costs? 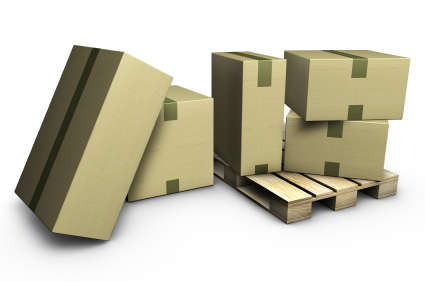 3PL Options = Are we at a point where a 3PL option might help us save time or money? What impact level do we expect for dim weight pricing ? Do we capture actual shipment packaging dimensions and weight ? How accurate do we believe our shipment packaging data is today ? How do we measure or audit carrier charge-backs for dim weights today? Review packing and containers to respond to new dim weight carrier rules. Confirm how we manage freight terms and billing to ensure we’re billing all we can. Review freight quoting, how accurate our estimates are, and where it might be costing us. Contact Pacejet 877-722-3538 or info@pacejet.com if we can help with your end of year reviews and new year planning.